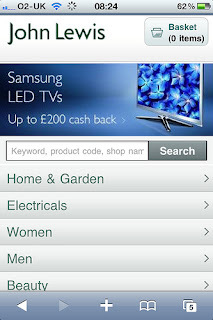 "John Lewis has announced it will launch a fully transactional mobile-optimised version of its web site next week. The department store retailer also plans to launch a mobile app early next year with the aim of integrating mobile into its online operations. 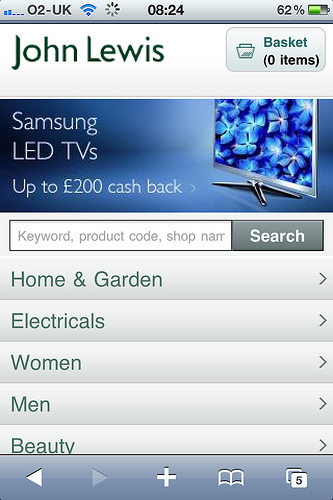 The new mobile site will feature a store-locator and allow shoppers to buy from the full range of products on johnlewis.com from any internet-enabled mobile device. The mobile site was developed in house and in partnership with third party Usablenet. "